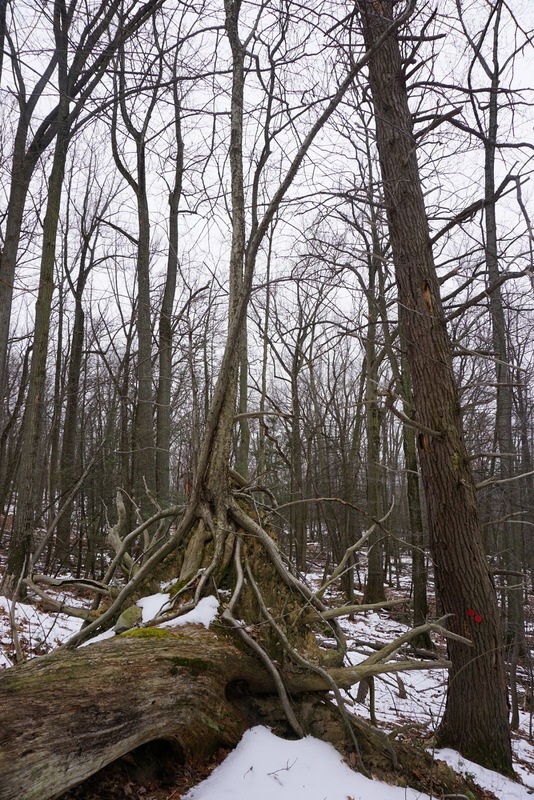 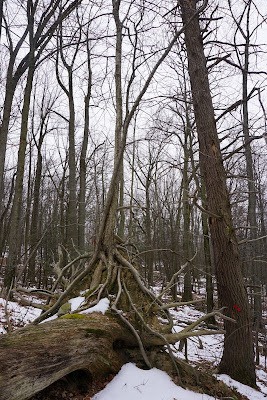 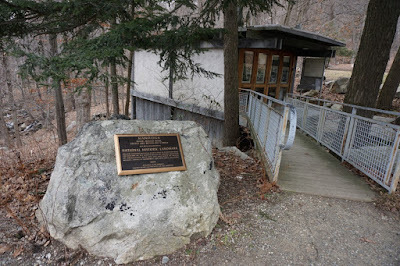 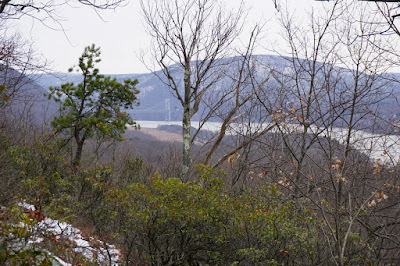 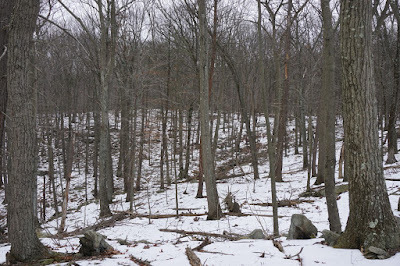 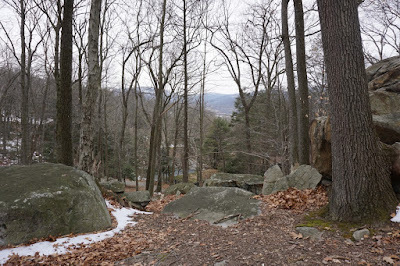 A couple of weeks earlier I had done a hike with Shimmy, and we ended the hike at Manitoga Nature Preserve. 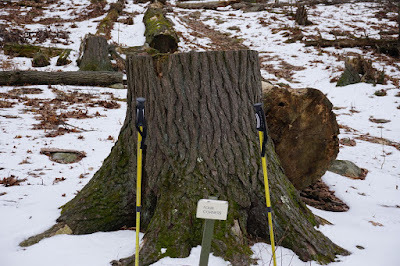 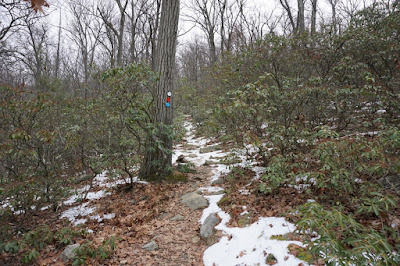 I was using an old trail conference map that just showed one unmarked trail going from the Osborn Loop Trail down to the Manitoga parking area. However, upon arriving there, we noticed many more trails that seemed to have been more recently blazed. 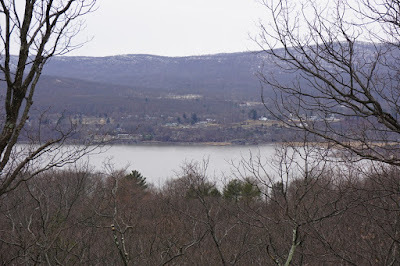 I determined then to head out in the near future and explore the area more. 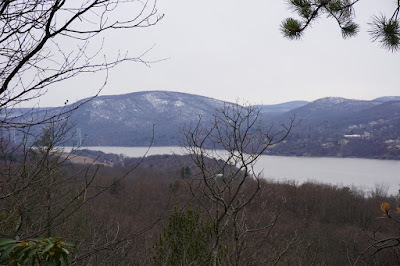 I purchased a more recent version of the East Hudson Highland Maps, and set out to cover all the marked trails in Manitoga. 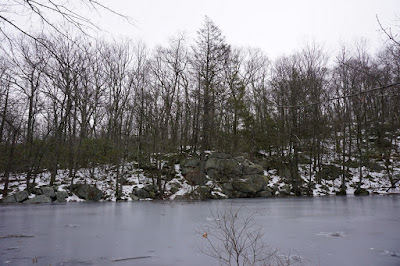 The temperature was seasonal, if not a bit warm. 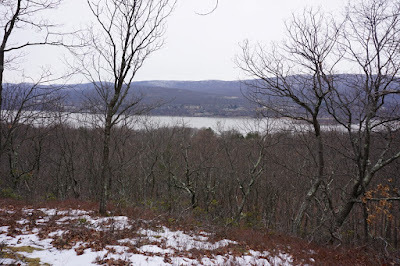 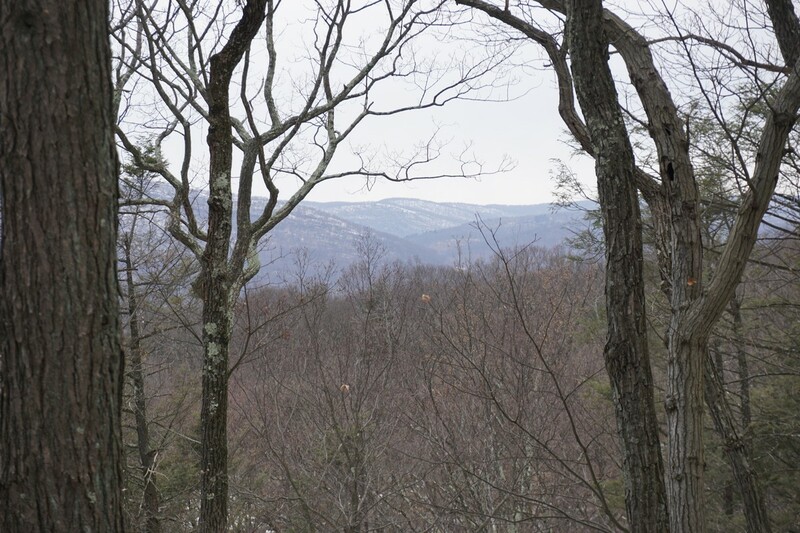 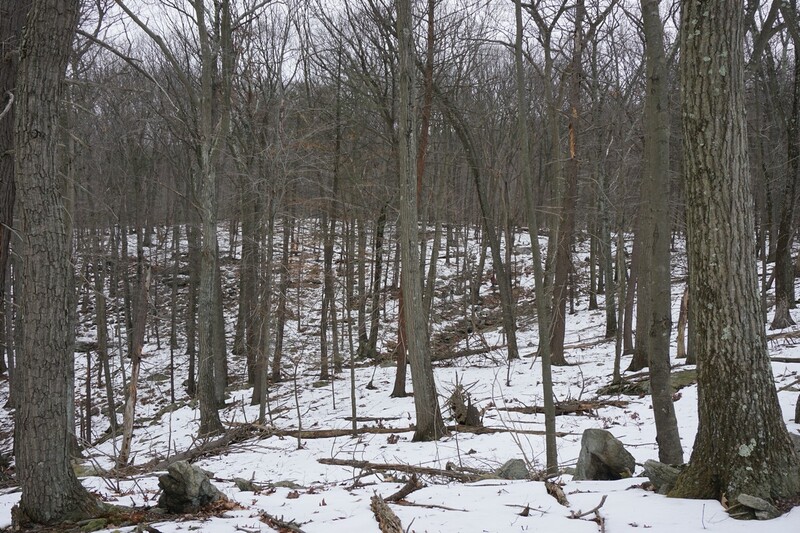 There was still snow in most of the area from the storm earlier in the week, through the sun-facing slopes lacked snow. 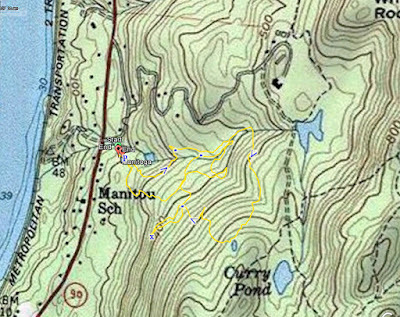 The way the trails work here is that they are all loops, and all start out together in the beginning. 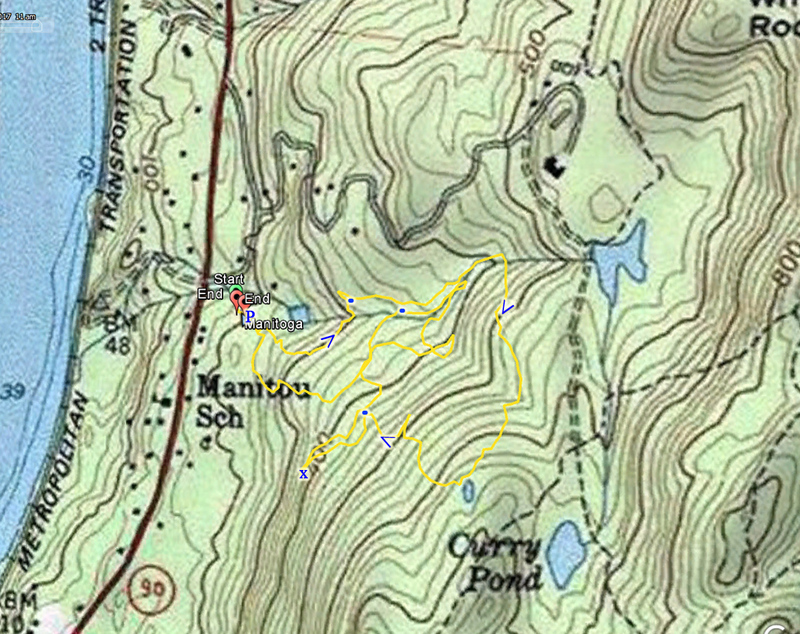 I parked in the parking lot, and took the Lost Pond Loop in its northern direction. 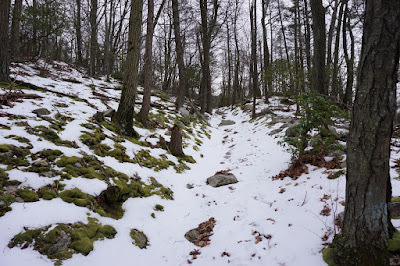 The Lost Pond Trail is the longest trail of the area, going along the brook to its ascent to the Lost Pond, a small and tranquil pond near the top of the Manitoga preserve border. 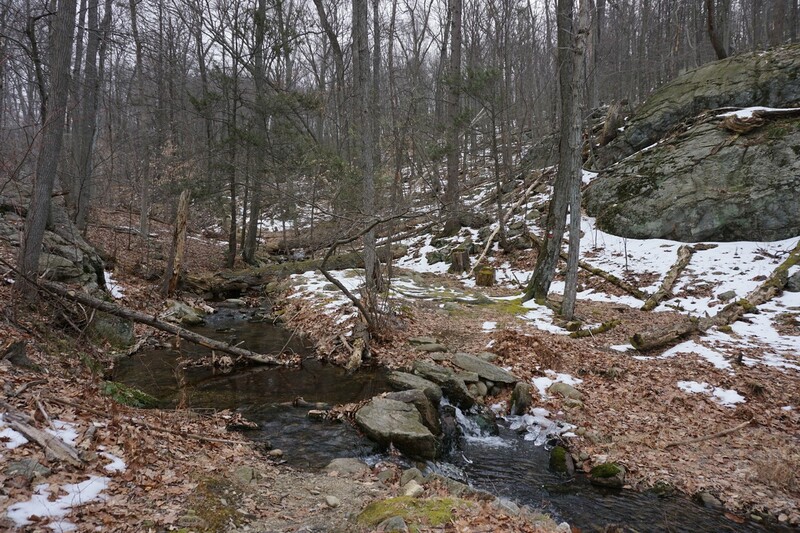 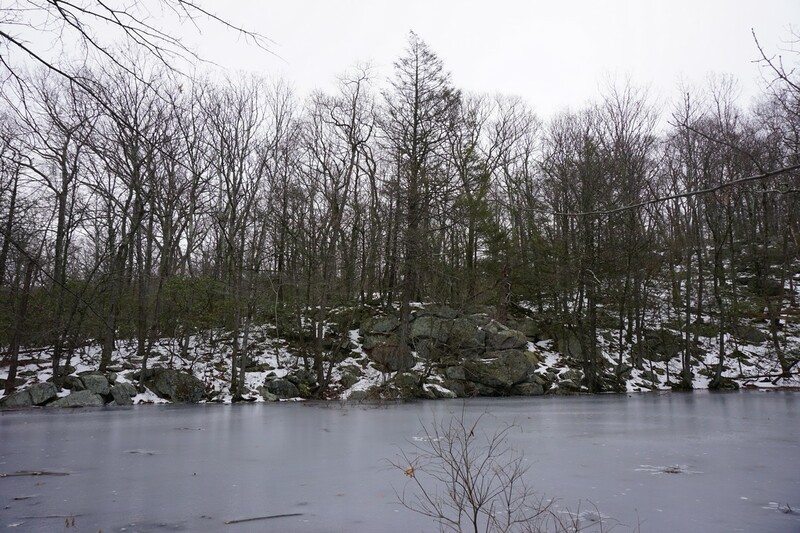 I took the trail up to the Lost Pond, then back down, while taking the two small view spurs. The first view near the beginning is very poor, with not much to see. 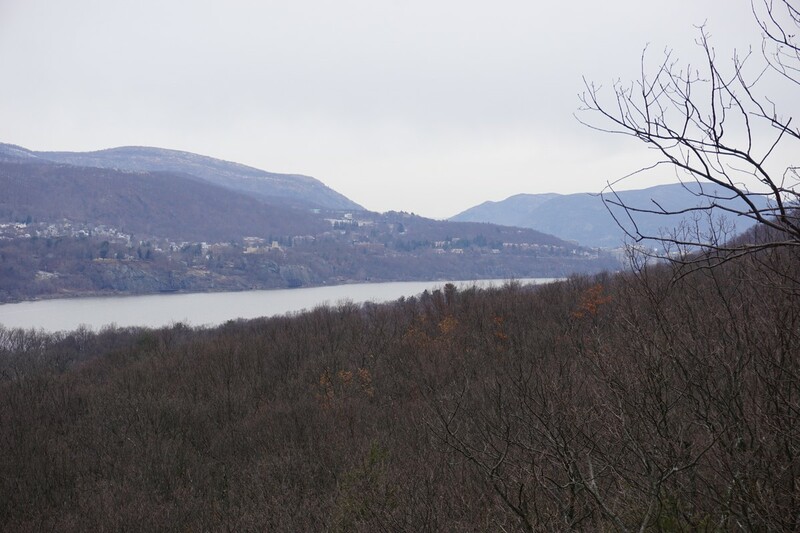 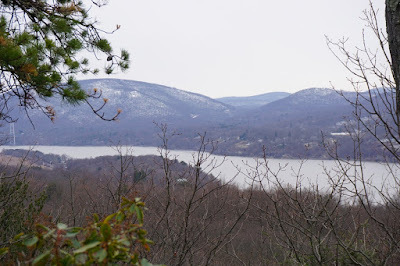 The second view, on my way down, is a bit longer of trek off the path, but does afford a much better view of the Hudson and across the river at Fort Montgomery. At a point known as "Four Corners,", where all the trails meet and intersect, I took the White Pine Loop to the Deer Pool back down to the Lost Pond on the northerly side, and then took the Wickopee Loop back for four corners. 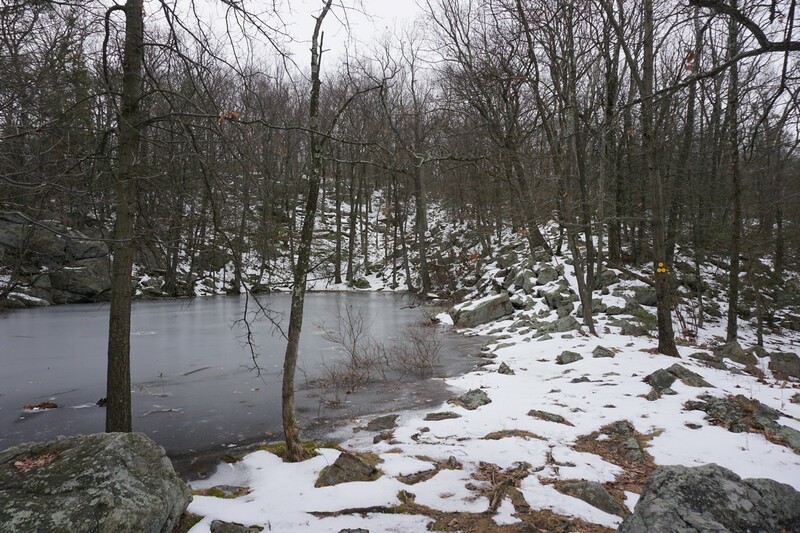 I then continued on the remainder section of the Lost Pond Loop on its southern portion back down to the bottom and back to my car.